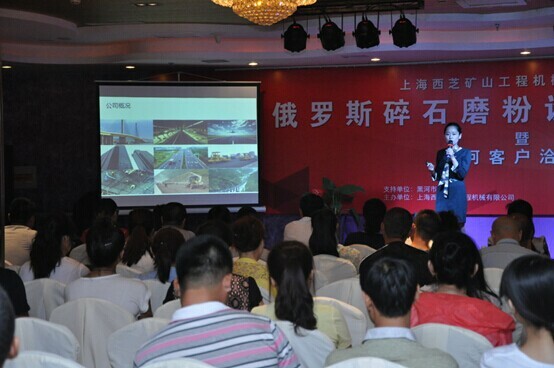 On June the 27th, ZENITH-Russia crushing and grinding equipment market forum was held at the Commerce and Trading Hotel, Heihe City, Heilongjiang Province. 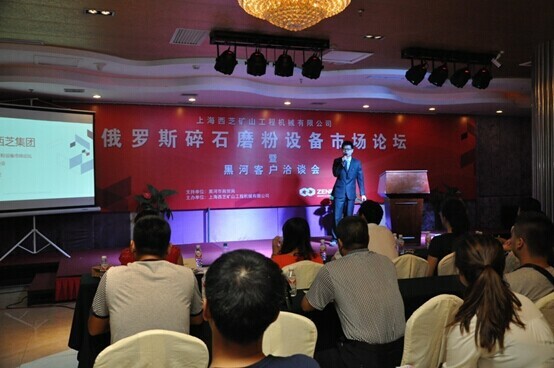 Hundreds of trading company and clients on the vicinity of Sino-Russian Border show up on the scene, discussing about the development prospect of rushing and grinding market in Russia and the cooperative form and potential with ZENITH. The fair was divided into two parts. On the first half, the participants discussed respectively about the development of group, the status quo and prospect analysis of Russia and the company’s core product and cooperation. 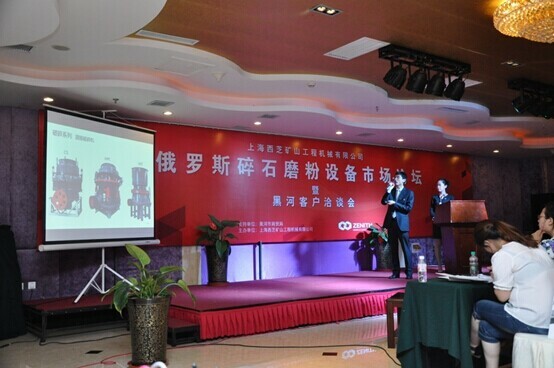 On the second half, Director Zhang from ZENITH ITC introduced its present product of crushing and grinding series. Other than other construction machinery enterprises, ZENITH provides its client a series of products solutions. Therefore, ZENITH will provide the client with Business Consulting, Matching Design and Installation Service before, on and after selling, gratifying differential needs of clients. That night, the whole staff shared the Banquet, during which guests communicated with related staffs about their interested aspects. 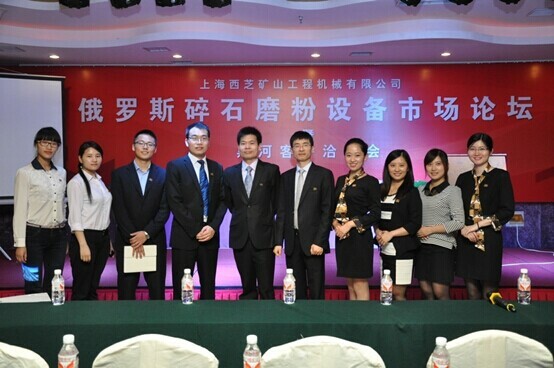 Quite a lot of guests show their affirmation to the corporate strength of Shanghai ZENITH and gave extremely high appraisal to the team for its profession as well.